Panasonic announced that it will start selling BG-BL03 Solar LED Lantern that doubles as a charger for people living in areas without electricity. With a 3.5 W solar panel, the lantern’s built-in battery can be fully charged in approximately six hours under fine weather conditions. The lantern contains five LEDs and is designed to emit light 360 degrees. This wide emission angle makes it suitable for use in everyday life such as at family dinners and for children studying. With a touch of button on the lantern, the brightness can be adjusted between High (100 lx), Medium (40 lx) and Low (6 lx). When fully charged, the battery run time is approximately six hours on High setting, about 15 hours on Medium and roughly 90 hours when set at Low. 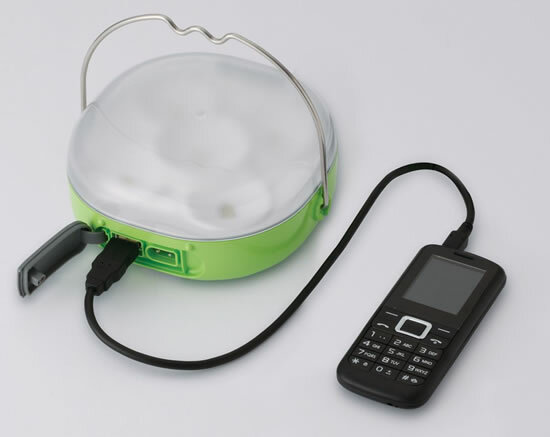 The Solar LED Lantern has a USB port, via which small devices such as mobile phones can be charged. A mobile phone with a 700mAh capacity battery can be fully charged in approximately two hours. The fully-charged lantern can provide enough power to charge such a mobile phone once or twice. The portable lantern can be used in homes and various other locations including hospitals, schools, shops and outdoors. The Solar LED Lantern can be used safely in the rain, as it comes with an ingress protection rating of IP34 set by the International Electrotechnical Commission (IEC) for dust and water resistance. The functions of the BG-BL03 Solar LED Lantern, such as 360-degree illumination and a charging time of approximately 6 hours, make it practical and convenient for everyday use in these areas. 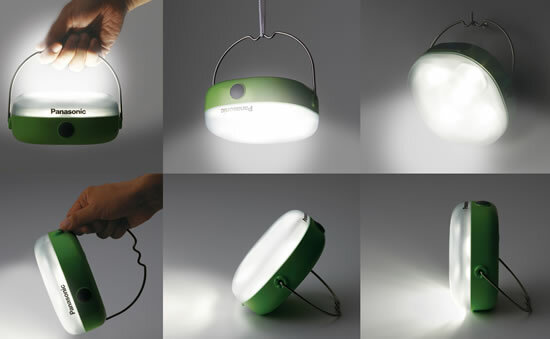 The Solar LED Lantern has been awarded the Good Design Award 2013, which is organized by Japan Institute of Design Promotion, and the IAUD Award 2013 which is organized by International Association for Universal Design.